Brittany played beautifully during my wedding ceremony. I received many compliments on hiring such a talented harpist. Thank you again Brittany. Brittany was very personable, warm and friendly. Her music was enjoyed by all present, and we continued to hear enthusiastic comments about her days after the party. We loved her music, which made the birthday celebration very special. We are looking forward to hearing her again soon!!! Thank you for your beautiful music. We love your harp playing. We are looking forward to another wedding with Brittany's music! On behalf of the PHD Organization, we want to express to you our sincere gratitude to you for sharing your gift with us and our other guests. Your music set the tone for the evening. 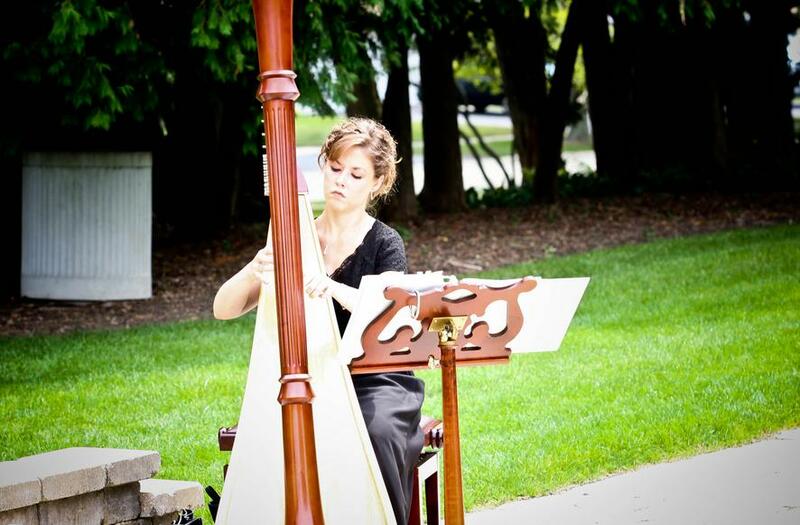 Brittany was very professional, punctual and played a variety of music that all of our guests truly enjoyed. The music was definitely the 'cherry on top' to making our corporate dinner with key customers a special event. It was fantastic!! You have to be one of the sweetest people I have ever met! I feel sad just knowing I have no more daughters to marry off, so I will have to think of another reason to need a harpist! My guests really enjoyed the music. You chose the perfect songs! You're a talented young lady. Thank you for making my daughter Lisa's wedding so perfect. With deep appreciation for your talent and hard work combined to make [our daughter's] wedding extra special with your beautiful harp music. Thank you for your musical services at our wedding. You truly set the tone for the entire evening and exuded romance, class, and beauty. I'm only jealous I didn't get to hear more prior to the ceremony! Thank you again for all your handwork and professionalism. You were such a pleasure to work with.